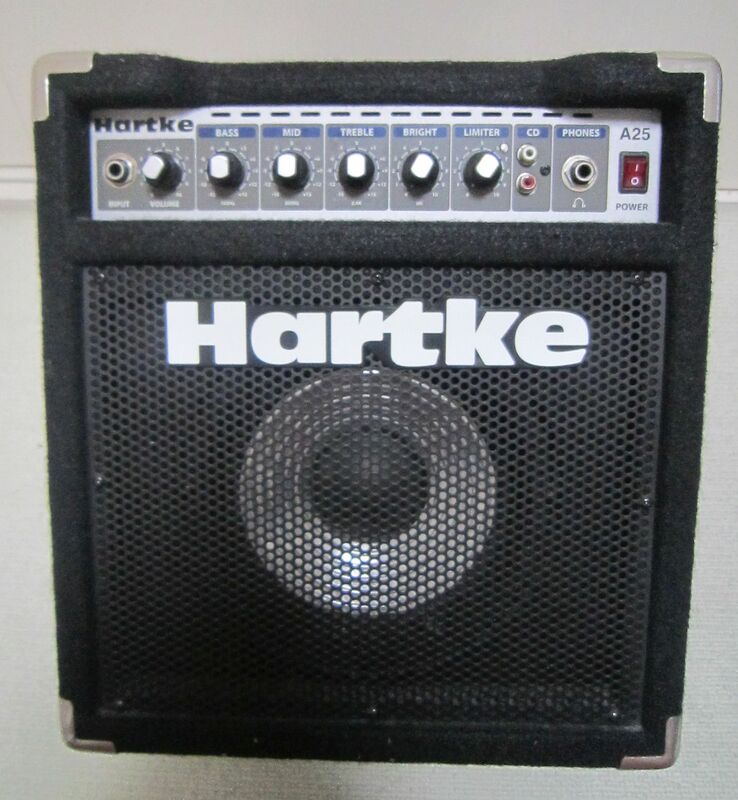 I got a used Hartke A25 Bass Combo recently and it was in good condition but the pots needed cleaning so i decided to show you what is inside this little combo. 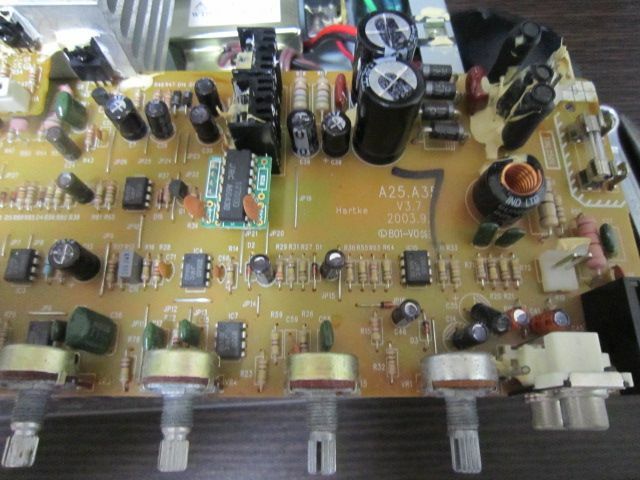 Once i took out the amp i noticed the power stage is actually using discrete transistors which is really really nice. 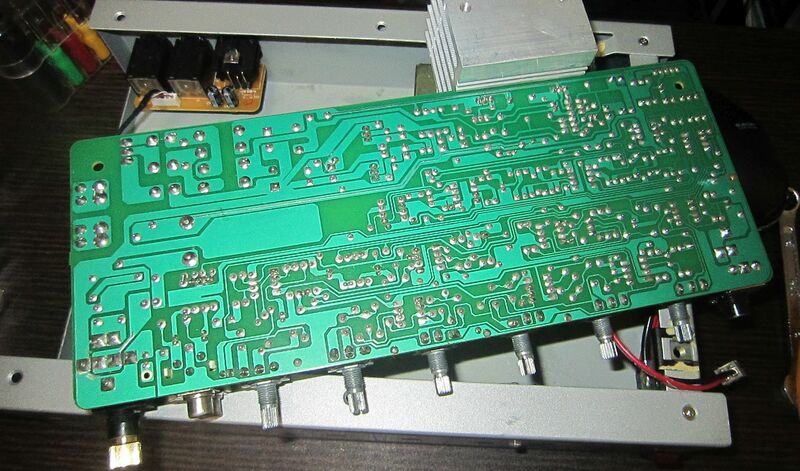 The codes are not so well visible but i think it uses 2sd2058 and 2SB1366. I also liked that the transformer is well shielded. 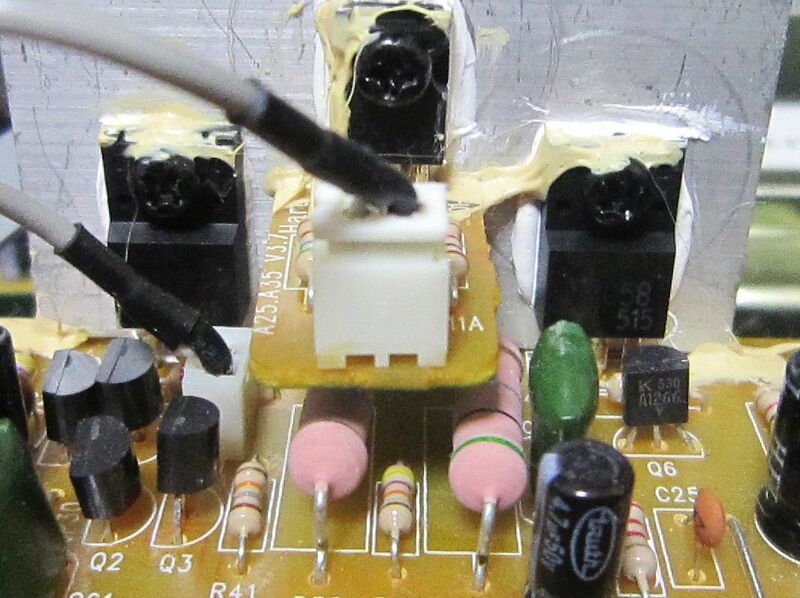 After I cleaned the potentiometers I tested the unit and sounded great. 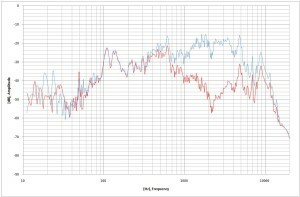 I took some measurements to see the effect of the equalizer, range and center frequency. 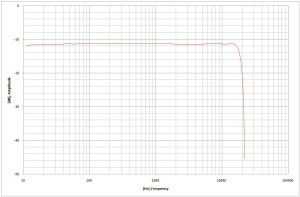 I measured the output of the speaker from 50cm away and the speaker about 50cm from ground. 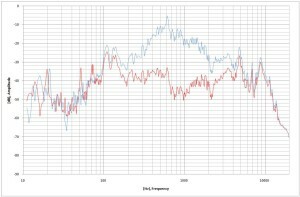 First i compared CD input with instrument input. 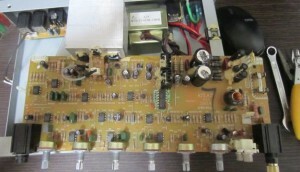 Note that CD input is not affected by any of the controls, not even the master volume. 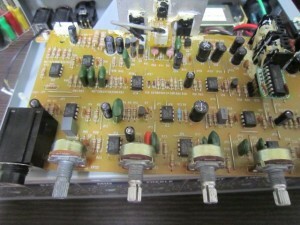 Next i tested the equalizer controls. The above is the bass control. 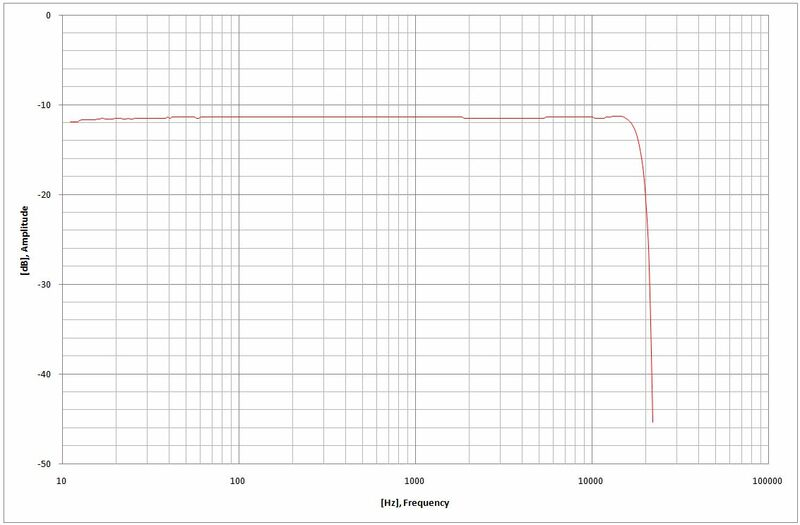 We can see it is centered around 100Hz and indeed it has 30dB control range. 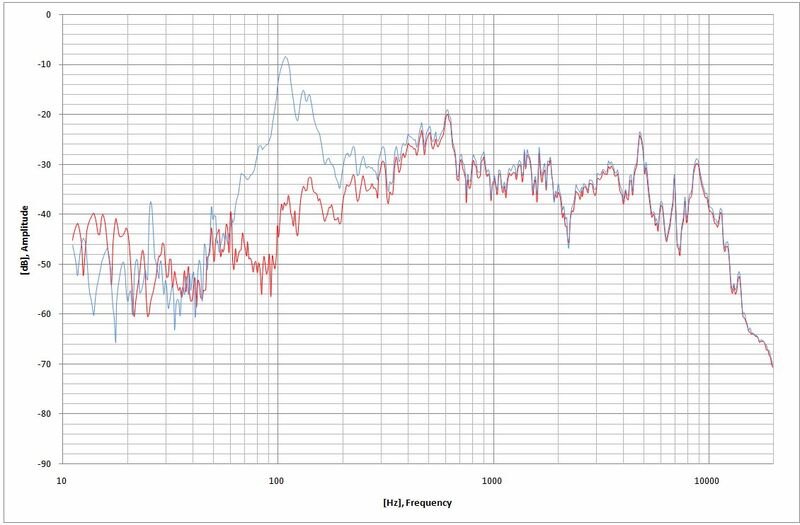 Blue is +15dB setting, Red is -15dB setting. 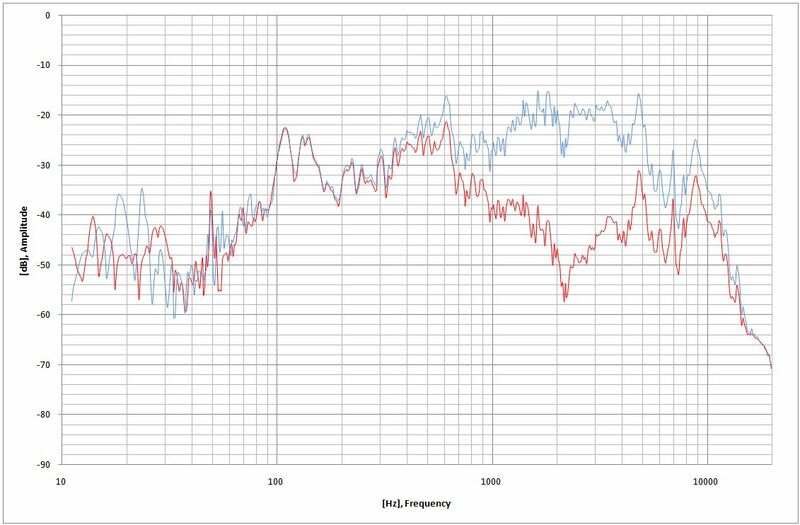 Midrange seems to be center around 700-800Hz and again the control range is about 30dB. 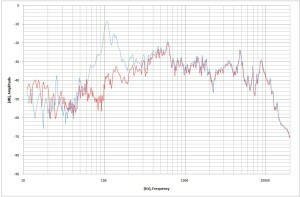 Blue is +15dB setting, Red is -15dB setting. 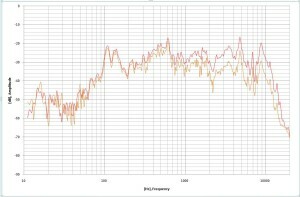 Treble center frequency looks to be 2kHz. 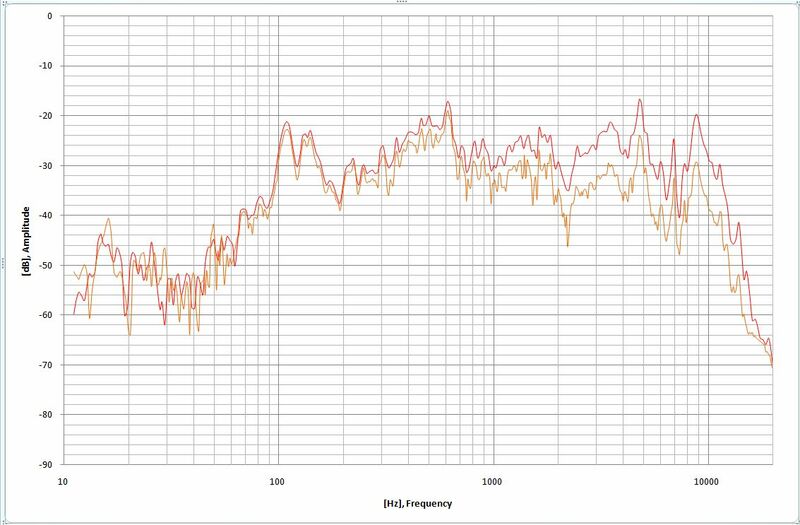 The range is close to 30dB again. 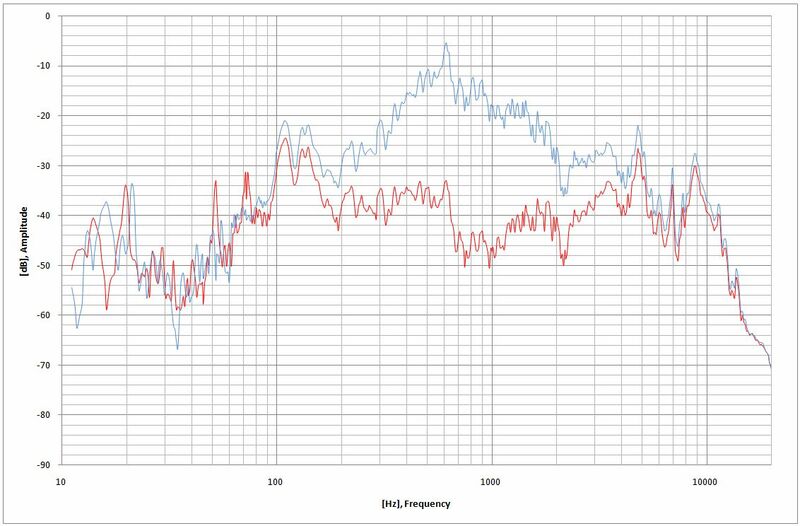 Blue is +15dB setting, Red is -15dB setting. 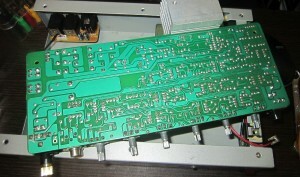 I also measure the direct output of the amp to see the frequency range of the preamp. It is quite linear as you can see below. I can say it is well built and it has a nice tone. It doesn’t go that low but if placed on the floor it can be quite satisfying. 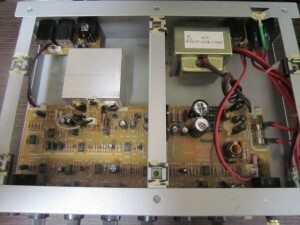 In the future i will look more at the speaker and the enclosure as i think it can be improved a bit. 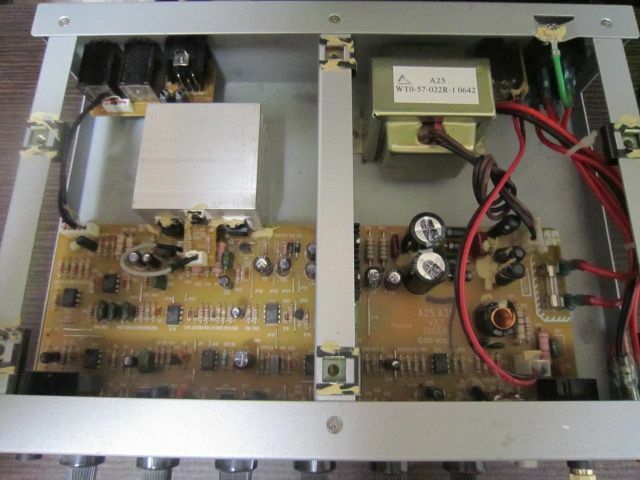 Would you be able to tell me what pot is used in A25 as a volume pot? Mine got broken and I’d like to order a replacement part.